The crisis on Wall Street is plaguing Sesame Street. 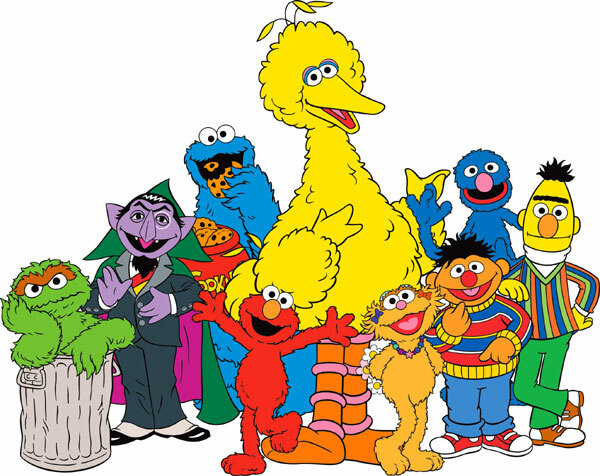 Sesame Workshop, the nonprofit producer of “Sesame Street” and other kids’ programs, is cutting 20 percent of its workforce because of the economic downturn. These are dark days indeed. This disastrous economy has reached the point where even MAKE-BELIEVE places are reporting layoffs. The Reformed Broker: So guys, the crisis has finally extended from Wall Street to Main Street and now to Sesame Street, did any of you guys see this coming? Snuffy: For me, it all became real when Mr. Hooper’s store was boarded up. TRB: That’s very unfortunate. So what plans are you guys making for the near-term while the recession drags on? Any jobs lined up? Big Bird: Cookie, chill with the crumbs, Yo. Ernie: Burt and I found an opening for a bartending duo at a club in Chelsea. The Count: I’m thinking ac-COUNT-ant, A Ha Ha Ha. TRB: Oscar, how about you? Oscar the Grouch: Are you kidding me? I’ve spent my life waiting for a depression! I’m in all my glory over here! Banana peel, anyone? Elmo: Elmo doesn’t feel the effects of the downturn. Snuffy: Oh sor-ree Mister Superstar. We can’t all sell 10 million DVDs and books. Grover: Hello everybodeee, can I chime in here? Grover: I think that the data coming out of the Bureau of Labor Statistics is skewed because when they survey the unemployed, too few people admit that they are “out of the labor force”…by falsely claiming that they are looking for a job, they are inflating the unemployment rolls, thereby making the numbers look much worse than the reality. TRB: That’s a very astute observation, Grover. TRB: Look, gang…on behalf of Corporate America, I want to apologize and I hope everyhing turns out fine for all of you. Oscar the Grouch: Whatever! Welcome to MY world!